TLC said don’t go chasing waterfalls, but we disagree! Complete with rainforest hikes, delicious food and more waterfalls than you can dream of, this weekend itinerary will tick all your holiday boxes. So pack your bags, prepare the ultimate playlist and pile into the car to tackle this must-do weekend road trip. The first stop on the list is Paluma Range National Park, with a myriad of things to do for any type of traveller. Just off the highway you’ll find Big Crystal Creek, a large swimming hole perfect for lounging around and soaking up the sun. Further up the Range, explore the lush rainforest and cascading waters of Little Crystal Creek. Swim beneath waterfalls, explore the rocky slopes, or relax in the shade of the historic stone arch bridge. It’s time to relax and refuel, and what’s better than getting a taste of the local produce? Frosty Mango is an award-winning café-restaurant offering some of the tastiest ice-cream in Queensland with fresh fruit grown onsite! Hot tip – the mango smoothies are sure to bring on those tropical vibes. It’s time for some shut eye! The township of Ingham offers a variety of accommodation styles, or get back to basics and camp amongst the rainforest (permit required). For an eco-friendly experience like no other, stay high in the mountains of Paluma at Hidden Valley Cabins and enjoy the ultimate digital detox. 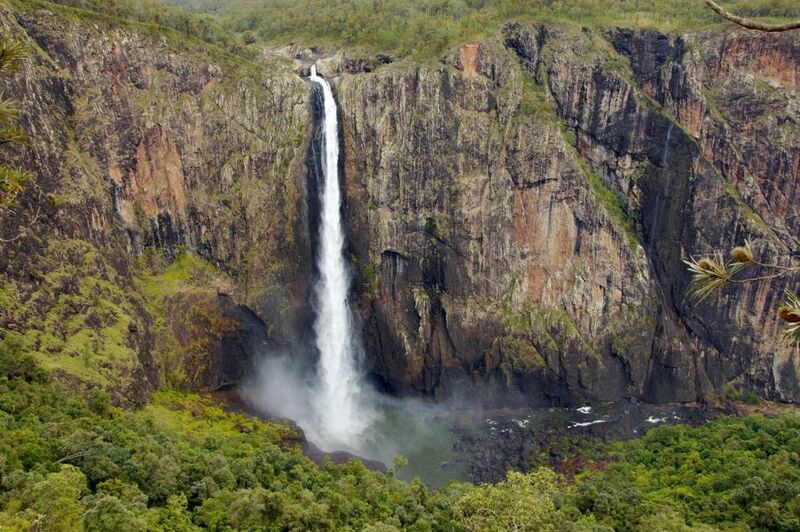 Kickstart your day with a visit to the Southern Hemisphere’s largest single-drop waterfall, Wallaman Falls. Be sure to have your camera at the ready when you witness this colossal natural wonder from the lookout. Once you’ve picked your jaw up off the floor, spend the morning hiking down to the base of the falls – it is a truly spectacular experience. Well known for its large Italian community, Ingham is the perfect place to enjoy some authentic Italian cuisine for lunch or taste the history at the original ‘Pub With No Beer’, coined by Slim Dusty’s number one hit! While in town, take some time to visit Mercer Lane, a 50 metre mosaic instalment created by more than 2,000 locals which gives a glimpse into the stories of Ingham’s past. Before hitting the road, drop into Ingham’s TYTO precinct to explore over 110 hectares of regenerated wetlands and spot more than a quarter of Australia’s local bird species in one place! Best known for its hikes and rockslides, Jourama Falls is the perfect place to unwind after a big weekend . Spend some time watching Waterview Creek tumbling down the rapids to a number of waterholes below, or hit the tracks and walk up to the lookout. the tracks Keep a camera on hand for birds, butterflies and other native wildlife that call the rainforest home.